Sometime during the recording of David Bowie's LOW, collaborator Brian Eno rushed into the studio holding a new 45 that he excitedly claimed was the future of modern music. The 45 was Donna Summer's hypnotic disco classic I FEEL LOVE and the sound that Eno, and eventually Bowie, latched on to was due to Summer's producer, Giorgio Moroder. Moroder is one of the great lost pioneers in rock music and one of the most influential producers of the past thirty years. His hypnotic, repetitious beats and work with synthesizers heve been copied a countless number of times and he all but reinvented dance music. Moroder was born in Italy in 1940 and got his start recording music in the early seventies, often with collaborator Bellote. His FROM HER TO ETERNITY album is one of the seventies great electronic recordings and his collaborations with Summer on Casablanca records made the Moroder sound one of the most distinctive of the period. Starting with Alan Parker's MIDNIGHT EXPRESS (1979), Moroder began composer and performing a series of extremely hypnotic soundtrack albums that would do much to alter the cinematic soundscape. His most notable soundtracks include Paul Schrader's AMERICAN GIGOLO (1980), which would find him scoring a massive hit with CALL ME by Blondie, Adrien Lyne's FOXES (1980) and Brian De Palma's SCARFACE (1983). Moroder was excellent at providing experimental electronic sound designs for directors while at the same time collaborating with many modern bands for a series of successful theme songs. The massive success of his FLASHDANCE (1983) album was probably his most commercially viable of the period, if no where near his best. 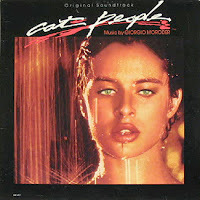 My favorite Moroder album is his score for CAT PEOPLE. Opening with the unforgettable Bowie collaboration, PUTTING OUT FIRE, the album is a really sublime and unique listen. THE AUTOPSY immediately follows PUTTING OUT FIRE and it is the most difficult track on the album, a short, droning sound effects piece that worked in the film but seems out of place on the lp. IRENE'S THEME, the third track, really kicks the album into a hypnotic groove and it is easily one of the best themes ever written for Nastassja. With it's lovely synthesizer work and simple melody, it is one of Moroder's most infectious and prettiest themes. NIGHT RABBIT, like THE AUTOPSY, is another short track that is a bit difficult to warm to. Mostly made up of animal noises and one of Moroder's more intense sound schemes, it is an incredibly inventive if short burst of sound. The album gets back on track with LEOPARD TREE DREAM, which provides one of the film's most memorable scenes with another seductively hypnotic theme. PAUL'S THEME returns Moroder to the stomping beat of his club work in the seventies and it is the most propulsive track on the album, one can practically hear Moroder reinventing the decade again in just under four minutes. THE MYTH is the longest track on the album and hear we find Moroder again collaborating with Bowie, who contributes some of the most sinister and mournful background humming ever. The album's previous themes, including PUTTING OUT FIRE, are replayed a bit slowed down and Moroder adds a really wonderful backdrop of dread throughout. 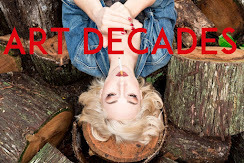 TO THE BRIDGE, with it's playful time signatures and a background that sounds a bit like Roxy Music's FOR YOUR PLEASURE, leads into another droning track (TRANSFORMATION SEDUCTION) before the album concludes with the short and menacing BRING THE PROD. The biggest problem with the original CAT PEOPLE soundtrack is that it is too short. One feels that much of Moroder's score was left off due to time and a double disc special edition of it would be most welcome. Giorgio Moroder is often overlooked these days but along with Can, Kraftwerk and indeed Bowie and Eno, his contributions to electronic music should not be ignored. He did much to shape the modern music landscape and he made the unjustly maligned Disco movement a real art form. His soundtrack albums have also been massively influential and his type of soundscapes are sorely missed in today's' film world where movies are to often just scored with random songs. CAT PEOPLE is one of his great works, one hopes that one day it will get a proper re-release with added material. I have this album framed and hanging on my wall because, alas, my record player broke and I've never gotten it fixed. Dammit. Your review has me ordering the CD--for some reason I thought it was out of print. Thanks for the great review/reminder. Thanks so much. Funny I thought it was out of print to and was glad to see that it wasn't. It actually sounds pretty good for an older un-remastered cd as well. Hope you enjoying hearing it again and thanks for stopping by. I had a cousin who had this album years ago. She got rid of all her records when she got married a few years after that. I loved listening to this back then. 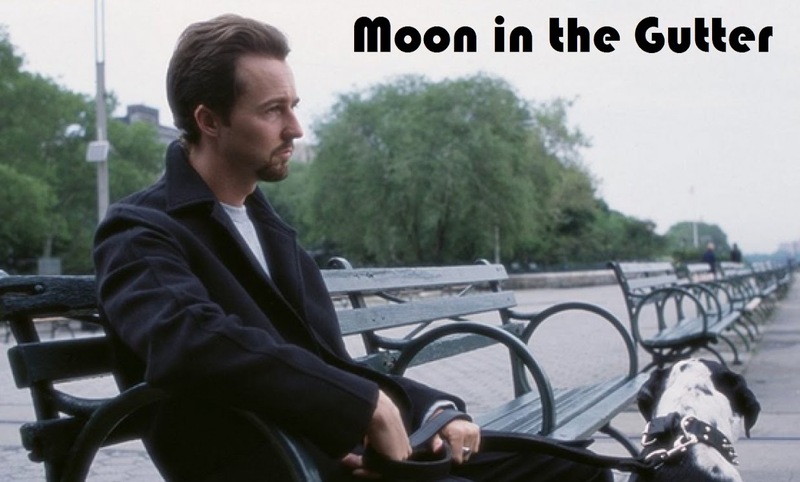 I hadn't heard it in years. I figured it would be out of print as well. It's great that it isn't. I'll have to get this one. Also want to see the movie again soon. Sweet web page, I had not encountered this before during my researches! Carry on with the excellent job!